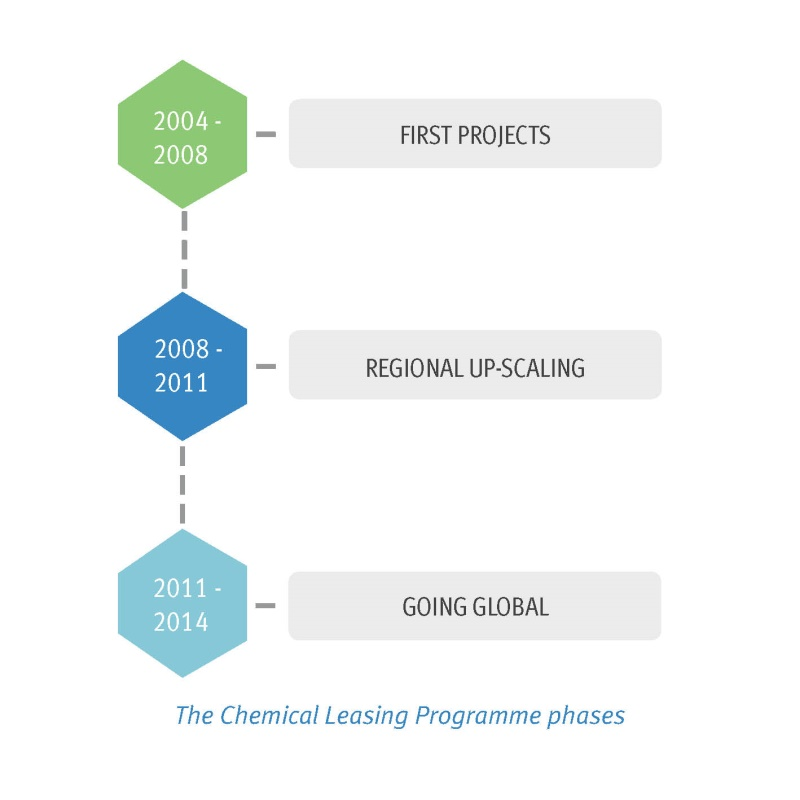 In 2004, UNIDO launched its Global Chemical Leasing Programme with pilot projects in three countries. Since then, the programme has become a global and vital platform for innovators and supporters from several industries, policy backgrounds and academia and a new ten-year-strategy for the advancement of the programme and the promotion of the business model has been released in 2015. The Global Chemical Leasing Programme is supported by the governments of Austria, Germany and Switzerland. Chemical Leasing is linked to a variety of international political objectives and facilitates the targets of political programmes and initiatives. Some of the most important programmes or initiatives include the UN 2030 Agenda for Sustainable Development, the EU’s Circular Economy Strategy, the Strategic Approach to International Chemicals Management (SAICM) and many others. The link between the ChL business model and its contributions to some of those programmes is explained on the following pages.